The Ryerson University Communications Building is located at the corner of Gould and Church, east of Yonge Street – Dundas Subway. For parking info and map, goto www.ryerson.ca/parking. 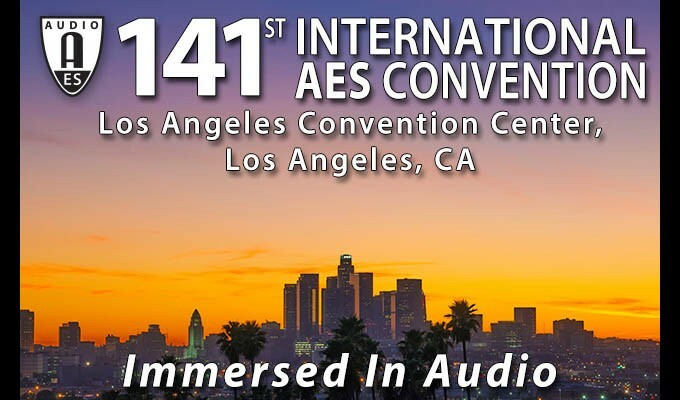 John Vanderkooy is back once again to give us a review of the papers presented at this year’s AES convention in New York. For those who couldn’t attend the conventions, this is an excellent opportunity to get an overview of the papers presented in an informative and digestible format. John will be discussing papers ranging from the forensics of gunshots, the teaching of audio to prospective students in the field, how to detect a cheating lossless encoder, new attitudes to headphones, some new transducer ideas, and how to reduce wind noise in arrays. Joining John will be Jeff Bamford, Ron Lynch, and Alan Clayton. John Vanderkooy was born in the Netherlands and emigrated to Canada with the family as a young boy. John received a B.Eng. degree in Engineering Physics in 1963 and a Ph.D. in physics in 1967, both from McMaster University in Hamilton, Ontario. After a two-year postdoctoral appointment at the University of Cambridge in the UK, he went to the University of Waterloo. For some years, John followed his doctoral interests in high magnetic-field low-temperature physics of metals. His research interests since the late 1970’s however, have been mainly in audio and electroacoustics. He retired in 2006 and is still an adjunct professor at the University of Waterloo. Over the years he has spent sabbatical research leaves at the University of Maryland, Chalmers University in Gothenburg, the Danish Technical University in Lygnby, the University of Essex in the UK, the Bang & Olufsen research centre in Struer, Denmark, Philips National Labs in Eindhoven, and the Steyning Research Establishment of B&W Loudspeakers, where he is returning again for the 12th time! John is a Fellow of the Audio Engineering Society, a recipient of its Silver Medal and several Publication Awards. He served as editor of the Journal for six years. 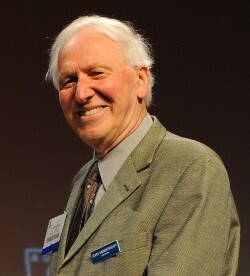 Over the years he has contributed a wide variety of technical papers in such areas as loudspeaker crossover design, electroacoustic measurement techniques, dithered quantizers, and acoustics. Together with his colleague Stanley Lipshitz and a number of graduate students they formed the Audio Research Group at the University of Waterloo, and it continues today although both of them have formally retired. His current interests are active acoustic absorbers and the acoustics of the trumpet.